A high-backed suite that embraces style with real comfort. The popular Kubu effect colour sets off the frames clean lines against its detailed weave, producing a modern twist on a timeless classic. 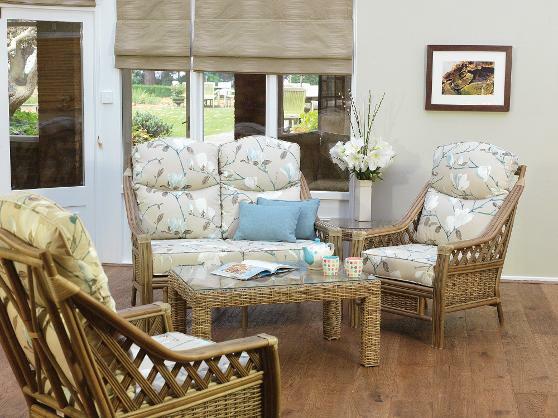 Available in Daro's extensive selection of fabric choices and perfect with any of their bright plain scatter cushions. All complimented by the Abington and Ascot ranges. Shown in Kubu Grey finish with Regale Marine and Sky fabrics.